Brandon Leibrandt has opened the 2018 season with 27 scoreless innings. Voting for the Triple-A All-Star Game began today. Fans across the country can vote for the starting lineups for both the International League and the Pacific Coast League until Friday, June 22. The online ballot for the 31st annual Triple-A All-Star Game, set to be played in downtown Columbus, Ohio at Huntington Park on Wednesday, July 11, is available here. 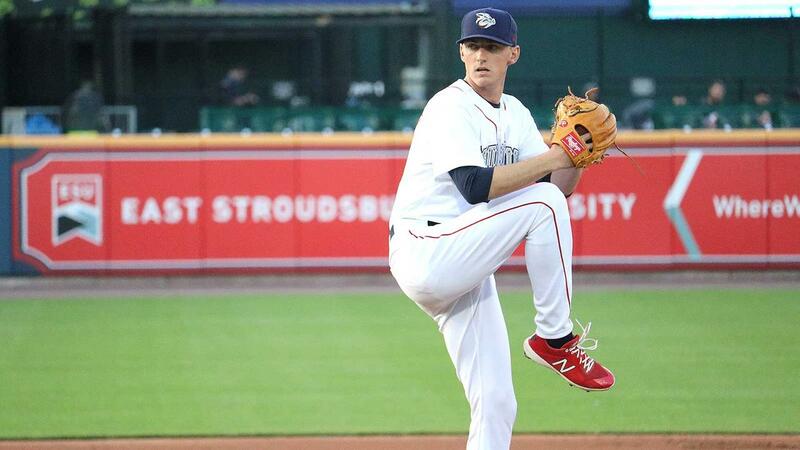 SP Cole Irvin (4-1, 2.81 ERA, 43 Ks), RP Pedro Beato (IL-leading 14 saves) and OF Dylan Cozens (the only IL player with 7 stolen bases and 7 home runs) are among the other Pigs who could receive serious consideration as an All-Star Game starter. Fan balloting will help determine the starting lineups for both All-Star teams, accounting for one-third of the total vote along with ballots cast by members of the media and each club's field manager, coaches, and general manager. Fans can cast their ballots here. Ballots are also available through the MiLB First Pitch app on Android, iPad®, iPhone® and iPod touch® devices. Once fans have made their selections, they will be able to share links to their ballots through Facebook and Twitter to encourage others to vote. All fans who participate in the online balloting will be able to vote for players on both the IL and PCL rosters. Fans can select one player for each of the infield positions, plus three outfielders, a designated hitter, catcher, and four pitchers - two starters and two relievers. Write-in votes for players not listed on the ballot will also be accepted. Up-to-date statistics and position-by-position comparisons will be available at the click of a mouse to help fans make their selections. The Huntington Bank Triple-A All-Star Game presented by Gildan will be broadcast live on MiLB.TV. All-Star festivities in Columbus begin with the Triple-A All-Star Home Run Derby and Skills Competition on Monday, July 9, part of the 10th season celebration for Huntington Park that will include hosting the 2018 Gildan Triple-A National Championship Game in September. Click here to vote for your favorite IronPigs for the 2018 All-Star Game.